The importance of organization can be inflated. I often spend more time thinking about how to organize my tasks then I do accomplishing the tasks. But I think everyone could use a space where your thinking is done, where things are in the right place, and there is a place for every thing. For Sam, it's her closet. 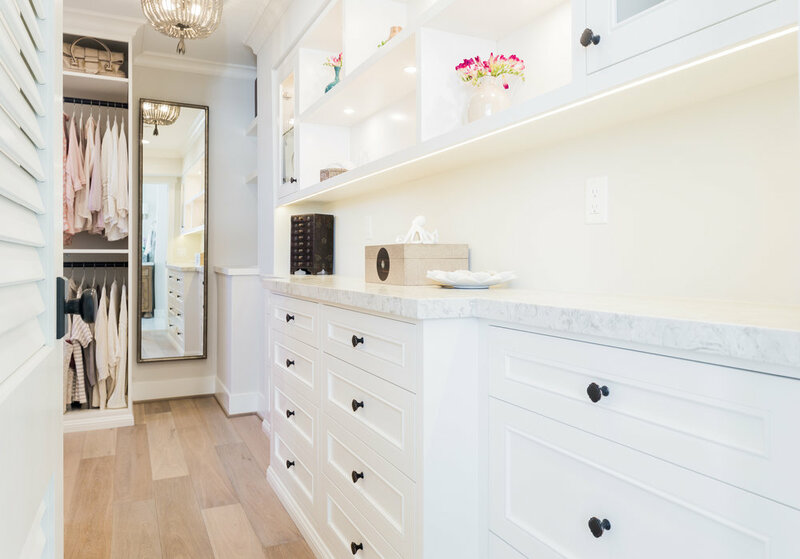 She worked with our designer to create a space where she had a place for her things, but her things didn't have dominion over her. To know Sam is to know that she doesn't want her identity to be defined by what she has, but she values the things in her life. I appreciate that desire to care for what you have, but to not let it rule you. Anyway, this closet is gorgeous. Our lead designer created this masterpiece in Hope Ranch area of Santa Barbara. 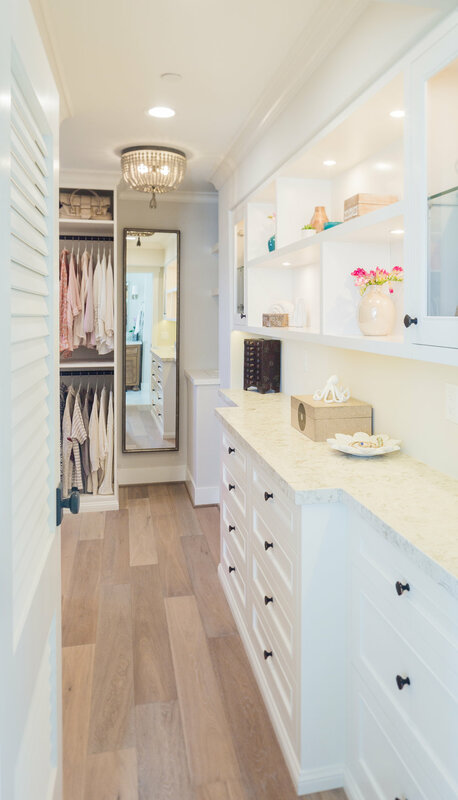 There is an art to designing a closet like this - a mix of organizational mastery and beauty in a fairly small space.